Remember the board game 'Operation'? 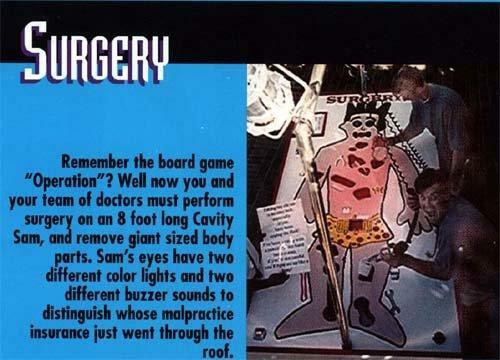 Well now you and your team of doctors must perform surgery on an 8 foot long Cavity Sam, and remove giant sized body parts. Sam's eyes have two different color lights and two different buzzer sounds to distinguish whose malpractice insurance just went through the roof.